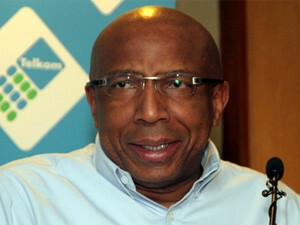 Telkom CEO Sipho Maseko has appealed to staff not to feel disheartened or anxious amid a turnaround strategy and media reports of massive job cuts. Telkom boss Sipho Maseko has appealed to staff to keep their eyes on the prize - turning the company around - amid the threat of possible job cuts and immense pressure on the company to up its game in 2014. This comes after news of extensive job cuts made headlines last week as the state-owned company is under pressure to improve - both in terms of financial performance and business conduct. Industry eyes are on Telkom now as it embarks on a turnaround strategy and is compelled to comply with the June Competition Commission settlement, intended to put a stop to what was determined to be anti-competitive behaviour by the company between 2005 and 2007. On Friday, Maseko sent out staff communication around media reports citing looming large-scale job cuts - which he said probably induced a sense of anxiety among employees. "While I can't predict the future, I can unhesitatingly say the 12 months that lie ahead will be demanding. Challenges await, of this we can be certain. We will have to be on top of our game and tackle the issues that influence our business with focus and purpose if we are to unlock our full potential," wrote Maseko. Referring to a media article quoting him as saying he plans to "fire as many as 1 000 managers" - and mentioning further job cuts over a period of five years - Maseko wrote: "It is unarguably so that Telkom's financial performance is indicative of the tough environment. Even though we've succeeded in stabilising the business, our earnings remain under pressure. We, therefore, have no choice but to continue optimising internal costs, improving productivity, growing revenue and responding to customers' needs." He went on to say the said article, however, created an impression that a reduced workforce was "cast in stone" - and says the company is merely in discussion over this, "but no decision has been taken". Maseko has assured staff that Telkom would not proceed with job cuts in a reckless manner. "We will also not proceed without first discussing it with organised labour in the right forums. Also, staff will not learn of something as important as this in the media. It goes without saying that you will be kept in the loop at all times. "So do not feel disheartened or anxious. Focus on your job and contribute to the company's well-being by doing what is expected of you to the very best of your ability." He makes it clear the company's turnaround programme will continue "unabated", adding: "Stabilising the company is not the end of the journey, it is just the beginning." One of the issues the Competition Commission focused on was the functional separation of Telkom's wholesale and retail divisions to curb what was determined to be anti-competitive behaviour by Telkom that resulted in margin squeeze for first-tier Internet service providers (ISPs). In a separate e-mail to staff on Friday, headed "Wholesale/Retail separation: Code of Conduct to provide guidance", Maseko said Telkom had adopted a new policy - the Competition Settlement Code of Conduct Policy. The 25-page document essentially provides guidance to employees on their interactions with each other, and with other licensed operators. Over the period 26 June 2005 to 19 July 2007, Internet Solutions, the Internet division of MultiChoice Subscriber Management Services, Verizon and the Internet Service Providers' Association (ISPA) submitted complaints against Telkom to the Competition Commission for investigation. The Competition Commission found Telkom "had engaged upon a so-called 'margin squeeze' by exacting from other licensed operators that are first tier ISPs or, in the case of Diginet access lines, their customers" excessive pricing. Telkom subsequently agreed to cease anti-competitive conduct - where it had not already done so - within six months of confirmation of the ruling (18 July 2013). In line with this, Telkom had to implement a functional split of its wholesale and retail operations. This involves treating competitors and its retail arm in a non-discriminatory fashion, and protecting confidential competitor information that its wholesale division is privy to from its retail operation. While the Competition Commission settlement imposed on Telkom led to market speculation as to whether structural separation - where Telkom's wholesale and retail arms are split into separate companies - would soon follow, the functional partition is so far the only step the company has indicated it will take. According to the policy document, the purpose of the code is "to provide guidance to Telkom employees regarding their behaviour, through their interactions among each other and other licensees, in a fair, transparent and non-discriminatory manner". Maseko notes in the staff e-mail: "Although this code impacts wholesale and network employees in particular, all employees must read the code of conduct to understand their obligations. We are also developing a separate competition compliance training programme for relevant employees on competition issues." The Competition Settlement Code of Conduct Policy (approved on 17 January) distinguishes between Telkom Wholesale and Networks, Telkom Business, Telkom Consumer and Retail, Cybernest and 8ta. The document states: "[This policy] applies to all Telkom employees and specifically those dealing with the provision of certain designated services, namely wholesale fixed termination, carrier pre-selection, co-location, facilities leasing, number portability, international private leased circuits, leased-line access (including Diginet), virtual private networks, high bandwidth transmission lines and IP Connect." It makes two general principles incumbent on the said employees: non-discrimination and customer confidential information (CCI). * As a general rule, Telkom will endeavour to treat all customers in a fair, reasonable and non-discriminatory manner. * Employees of Telkom Wholesale and Networks will treat similar customers (Telkom Retail and other licensed operators) in a similar manner when provisioning the designated services set out in this document. * However, differential treatment is acceptable where the differences are justified by different customer requirements or for other objectively justifiable reasons. * Telkom employees may not publically disclose or publish CCI to an external third party or disseminate this information unless prior customer consent is obtained or unless disclosure is required by law. * Employees of Telkom Retail may not request CCI belonging to another licensed operator from Telkom Wholesale and Networks. * Employees of Telkom Wholesale and Networks may not share CCI, which has been provided to them by their customers (including other licensed operators) with Telkom Retail, unless this information is required to deliver a service to these customers. In the latter circumstance, Telkom may disclose CCI only to an employee or duly appointed representative of Telkom as required. * CCI will remain confidential to Telkom. Failure to abide by the rules laid out in the code of conduct, says Telkom, will be regarded as misconduct and "Telkom may initiate the appropriate investigation and disciplinary action against employees, which may lead to dismissal and/or civil action". ISPA regulatory advisor Dominic Cull says, while Telkom's recently approved Competition Settlement Policy is merely a code of conduct, it is definitely a step in the right direction. "Issuing a code of conduct around wholesale/retail separation is a major step, which Telkom has been forced to take and we will watch closely to see how the implementation of this goes. There are plenty codes of conduct and not all of them are enforceable and effective." Cull says the functional separation - shored up now by the issuing of a policy to guide staff behaviour - is not a line in the sand, but ISPA welcomes it. "If it is implemented it will make a big difference with regard to third parties. But implementation is key and we will assess its effectiveness over the next six months." He says should the policy fail to have the desired effect, "[ISPA] would not be shy to call for structural separation, as mooted in the National Development Plan". At the end of the day, he says, such a scenario would be a guarantee of fair competition between operators.